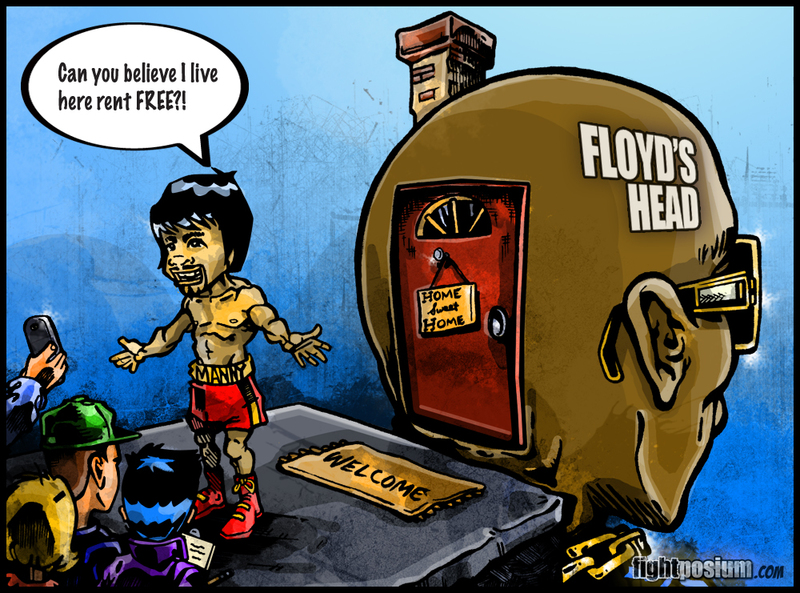 I will probably get a lot of flak from Floyd Mayweather supporters for drawing this cartoon, but oh well. I wanted to draw this particular comic strip because when anyone mentions Manny Pacquiao around Floyd Mayweather, Floyd gets worked up and defensive. However, when you mention Floyd Mayweather to Manny Pacquiao, Manny could care less and doesn’t resort to bad mouthing Floyd. It’s perfectly clear that Floyd has no interest in fighting Manny Pacquiao. I don’t get it. Floyd has always stated that fighting is about the money. Well, Mayweather vs Pacquiao would be the most lucrative fight in boxing history if it were to happen. So, I don’t understand why Floyd will not fight Manny or why he continues to berate Manny’s boxing skills? They say you’re as good as your last fight. If that’s the case then Floyd has absolutely no room to talk crap about Manny or his skill sets. Manny just finished a virtuoso performance against a young, hungry and undefeated champ in Timothy Bradley. On the other hand Floyd looked below average against a fighter who has lost four fights–one of them to Amir Khan, an opponent who was a choice for the May 3, 2014 Mayweather sweepstakes.